Oreo Cheesecake Cupcake -These Mini Oreo Cheesecakes make a perfect dessert! 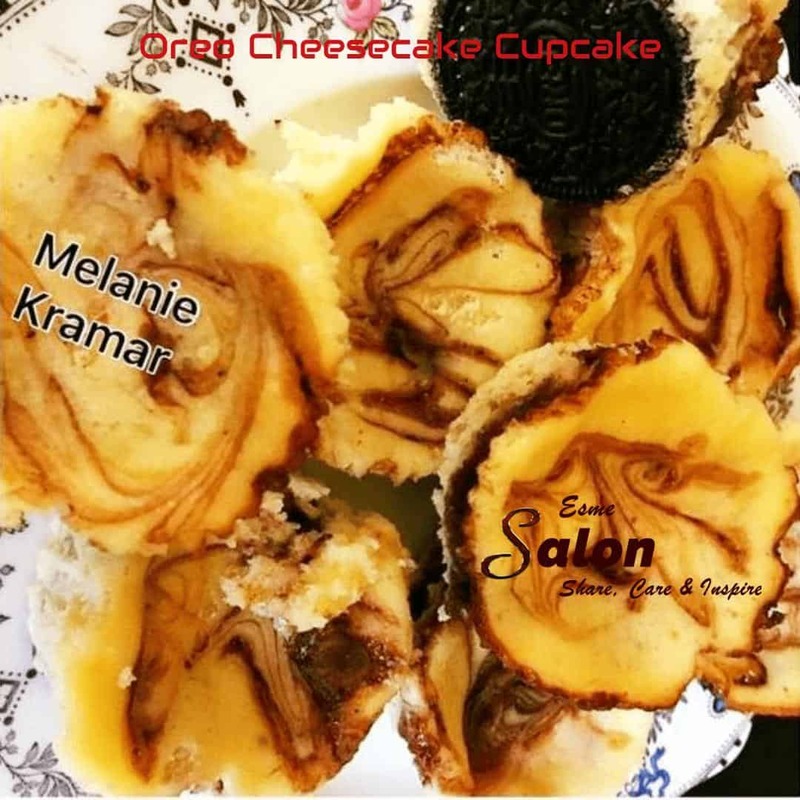 Make your very own Oreo Cheesecake Cupcakes that are perfectly sized for individual treats! This will not take you that long, and you will have delicious home-made cupcakes to serve with coffee! Preheat oven to 140 °C. Place an Oreo in the bottom of each one. In a large bowl, beat the cream cheese and sugar together until smooth. Beat in vanilla extract, eggs, sour cream, and salt. Continue beating until combined and smooth. Place a scant teaspoon of hot fudge into each cupcake. Add another tablespoon of cheesecake batter on top, filling the cupcake liner. Use a toothpick to gently swirl the fudge into the cheesecake mix. Bake in the preheated oven for 22-25 minutes until filling is set. Combine the butter, cream, honey, cocoa, and salt in a small saucepan over medium heat and bring to a simmer. Simmer on low, stirring, for 3 to 5 more minutes after everything has melted, then remove from heat and stir in chopped chocolate or chocolate chips. You can replace Nutella with Fudge swirl.